Appdupe's new services have made an impact on the companies that have embarked on "app clone" segment of business. The latest from their kitty is the development of new age clone and scripts. The following press release throws light on the same. As per the latest news, AppDupe focuses on reconstructing the entire Uber Clone App development and takes the business a notch-up. TAMIL NADU, INDIA, September 20, 2018 /24-7PressRelease/ -- As per the latest news, AppDupe focuses on reconstructing the entire Uber Clone App development and takes the business a notch-up. AppDupe is one of the pioneers in the clone app development and has optimized the Uber-like app with the best of the team to make this all a reality. The buzzword here is the Uber clone app. A multitude of businesses is taking up the Uber framework and customizing it to meet their customer's demands. To become more competitive in this niche market of taxi-hailing services, AppDupe offers the right solution. AppDupe: Scam or Legit app? AppDupe creates clone apps for entrepreneurs under reasonable prices. Therein, started their road to success in the Uber clone development. AppDupe has reached new heights in a short period due to its revolutionary tailor-made ideas. Clone apps contain the bare framework to customize the app according to the client's specifications. AppDupe made this trend a reality by making use of the Social Media presence. 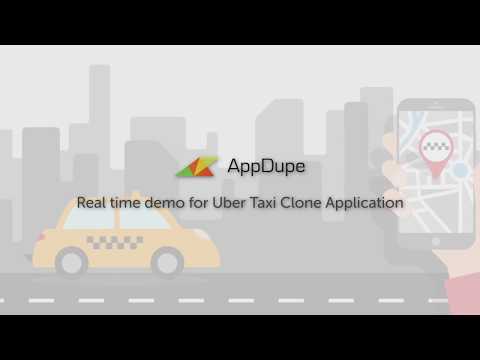 AppDupe creates the perfect Uber clone app by integrating two distinct apps: A passenger app and a driver app. The passenger app will enable the rider to book a taxi, pay the fare and communicate with the driver. The driver app will pick up ride requests, receive payments and much more. Entrepreneurs who wish to use AppDupe's Uber clone apps can make use of the turnkey solutions to rival their counterparts. With a powerful admin dashboard, the website and mobile apps can help the users to control the driver and customer apps. AppDupe envisions to ace with the top of the line features and customization. The organization develops successful clone apps with all the customizations to embark on a new business venture for entrepreneurs. AppDupe is a curated marketplace for clones of popular mobile and web apps. We are all about creating possibilities. What would YOU do if you were given a Billion dollar company's technology to play with, is the question that drives us, We create that possibility for you to explore. We curate the scripts and apps from a list of screened vendors so that you can buy at peace and launch any product/service knowing that constant support and customization is there for you.